This was a background tutorial featured in the April issue of SNR. As much as I adore patterned papers, I love having the option of creating something unque myself so i'm always on the lookout for great background techniques. I will be sharing several with you this month. A good solid background is the foundation of all great artworks. This theory applies to the art of scrapbooking too. On my endless pursuit of discovering the perfect background technique I stumbled upon this technique which is pure genius in it's simplicity. 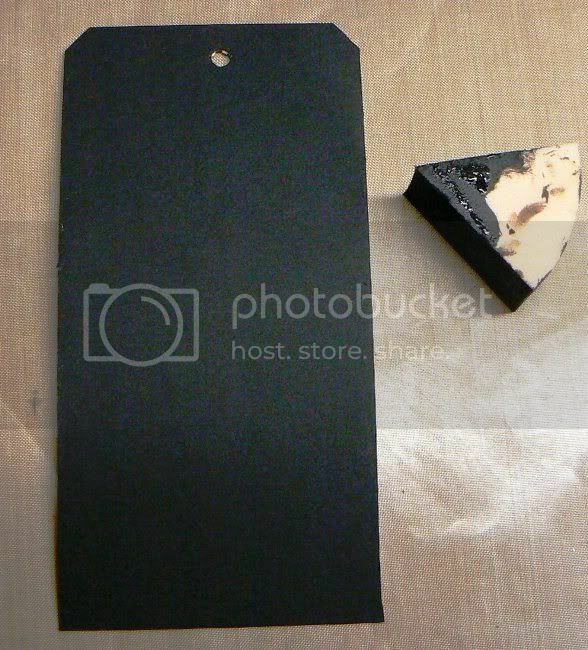 Step One: Paint your tag or layout background with a dark coloured base coat. This is the colour that will "peek" through your scratched surface so it should be a contrasting colour to the top coat of paint. Step Two: Add a coat of a lighter, contrasting colour to your base coat. I used some gold metallic acrylic paint for my example. 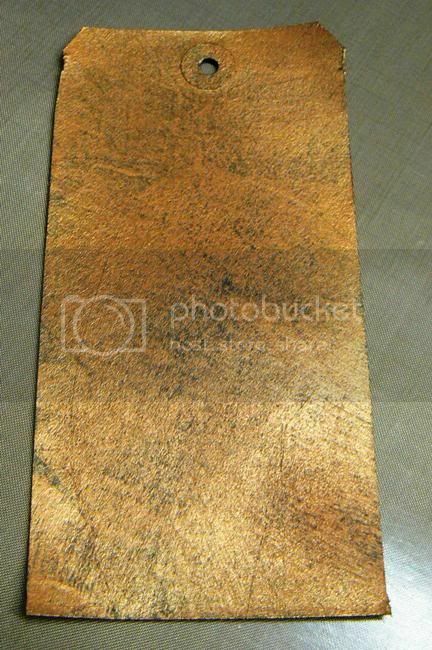 If you want a very textured surface you can add a second coat of this colour. 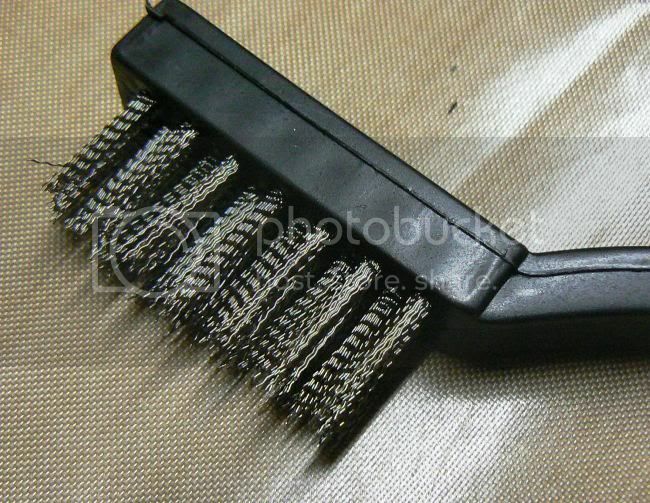 Step Three: Grab your stainless steel bristled brush. You'll find these really cheap toothbrush-like brushes in the tool section of your local hardware store. I have no idea what their actual purpose is but they're perfect for what I needed. In the set I bought there were 3 brushes with stainless steel, nylon and brass bristles. Step Four: Using firm pressure with your brush, make random strokes in various directions over your painted surface. The stainless steel bristles will penetrate the top coat of paint and lift it revealing your base coat which is black in my example. 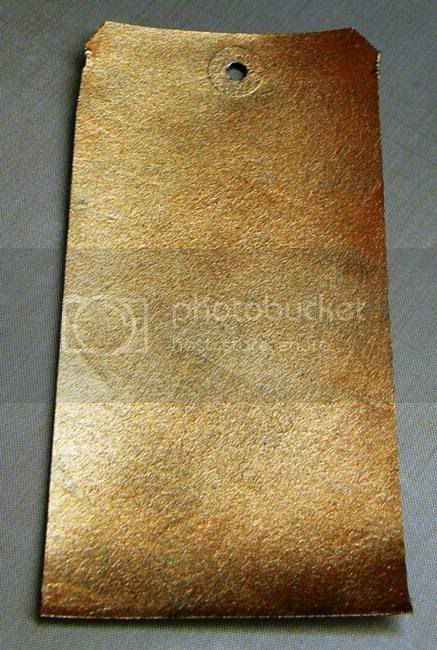 This will create a scratched paint textured background for your project. 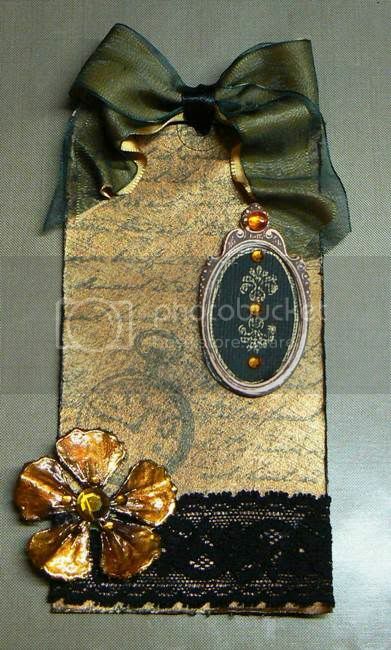 Not only is this technique great for creating grungy distressed backgrounds for your tags, ATC's, cards and layouts but it's also a quick and easy way to age surfaces for vintage styled projects. That is a very cool technique thanks for sharing! What a great techinique and one that I dont recall seeing being used yet. Thanks for sharing. Love the vintage nature of this bsackground. So happy I have these supplies. Awesome technique! I can't wait to try this! I think I have one of those brushes too.